Just hit my 6th silver for the year. Nothing exciting, just a 1950-d rosie. It’s actually my first silver Roosevelt dime I’ve dug seated, barber, and mercs this year hit this is the first. 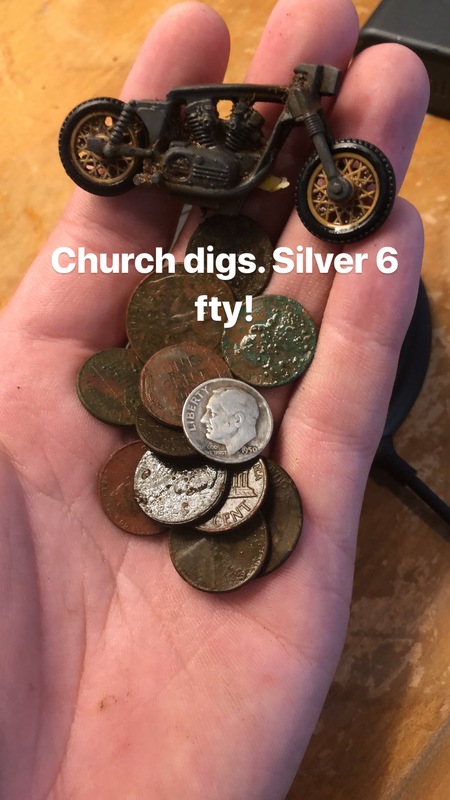 Was detecting an 1895 church I got permission to. . Nothing dug was older than the Rosie with the exception of a couple war time wheat pennies (1940s ish, don’t remember the exact years). Good break to the dry spell but was really hoping for something older when I saw shiny in the hole. Still grateful to be out and about. Congratulations! Silver with any date is still silver. Re: Congratulations! Silver with any date is still silver.